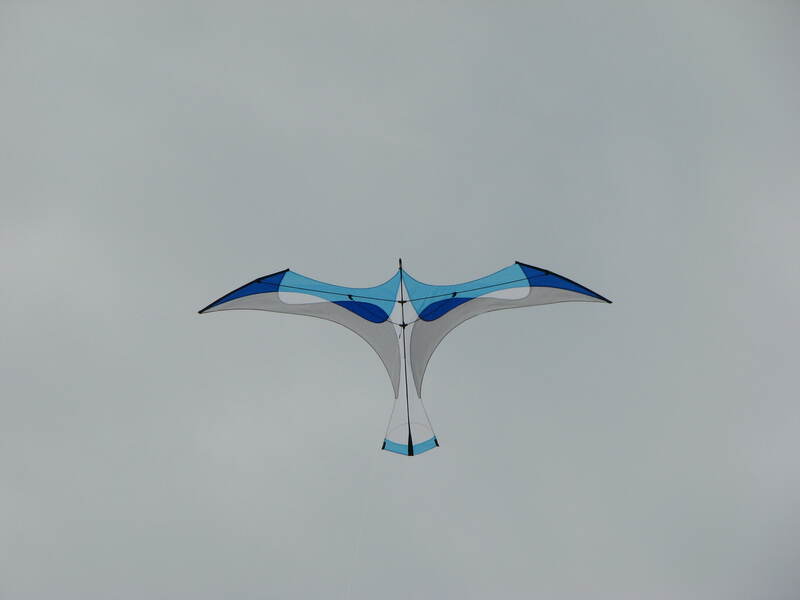 You are currently browsing the tag archive for the ‘Skydog’ tag. 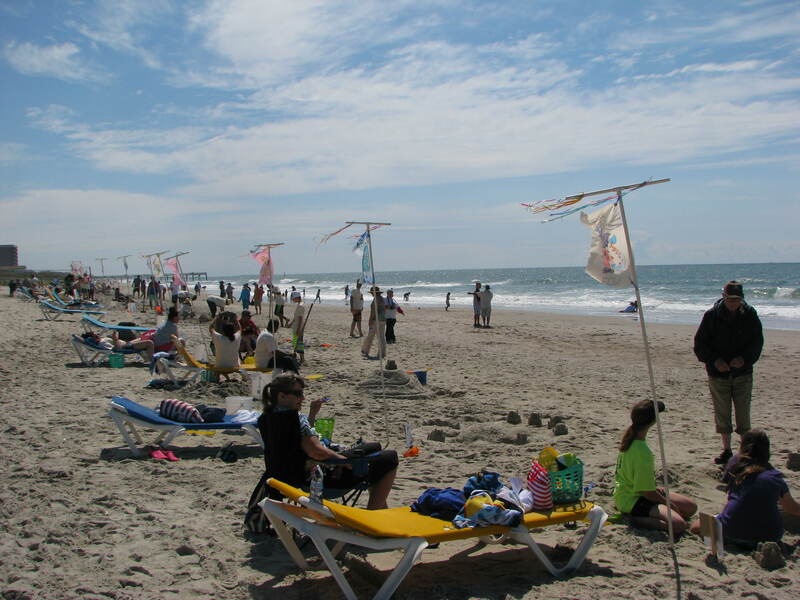 I’m sitting on the balcony of my hotel room on the Outer Banks of North Carolina watching it rain. 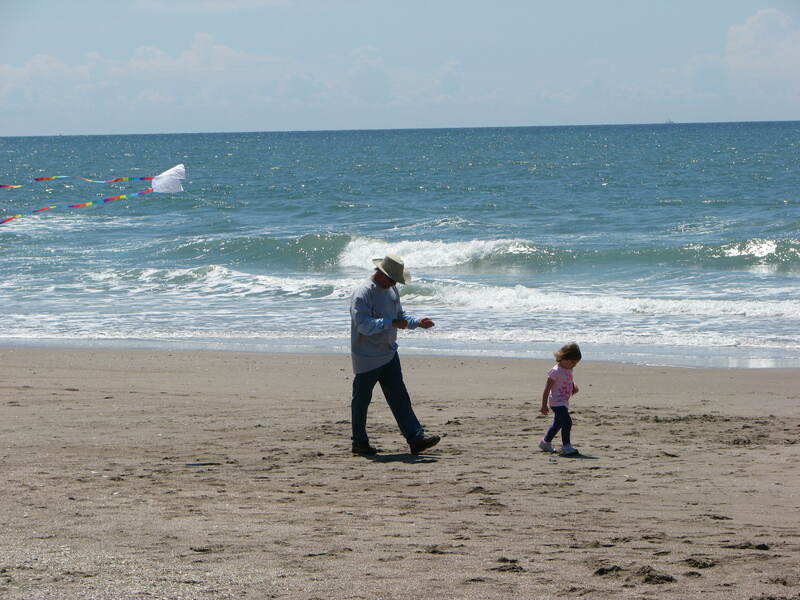 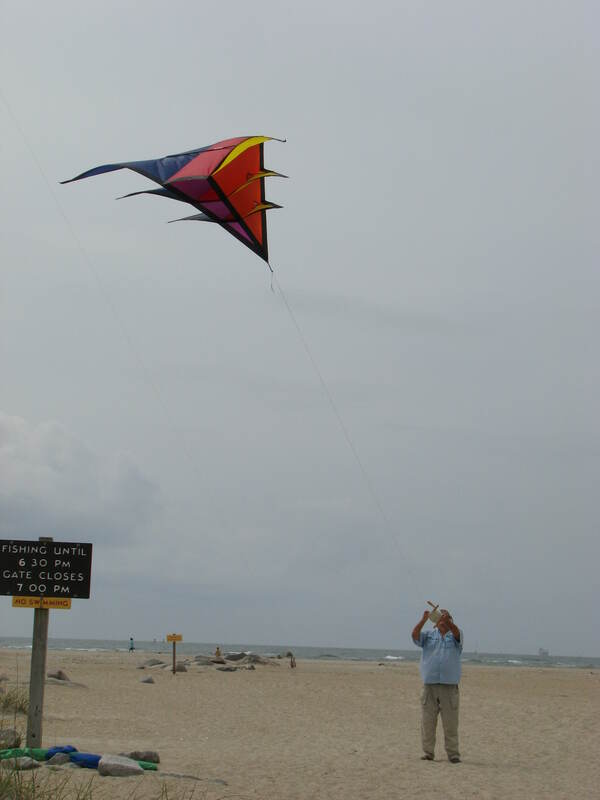 My plans for kite flying on the beach are foiled. 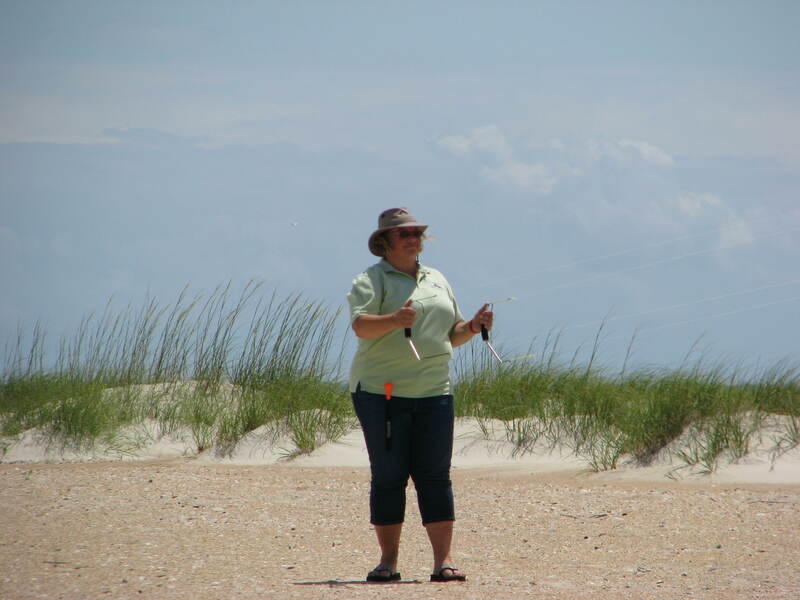 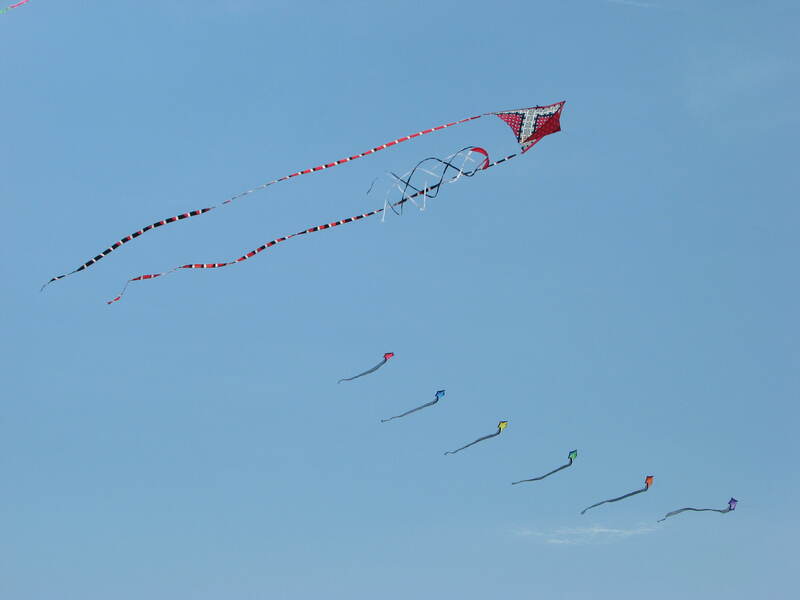 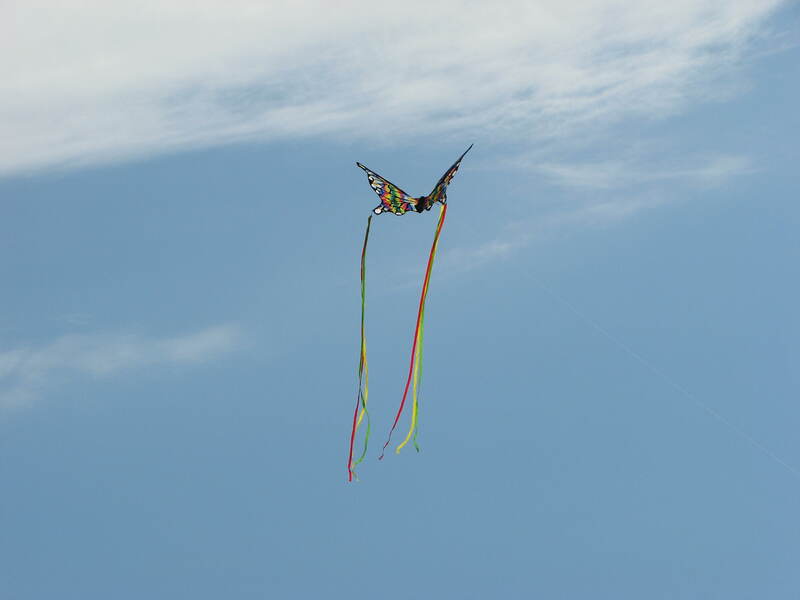 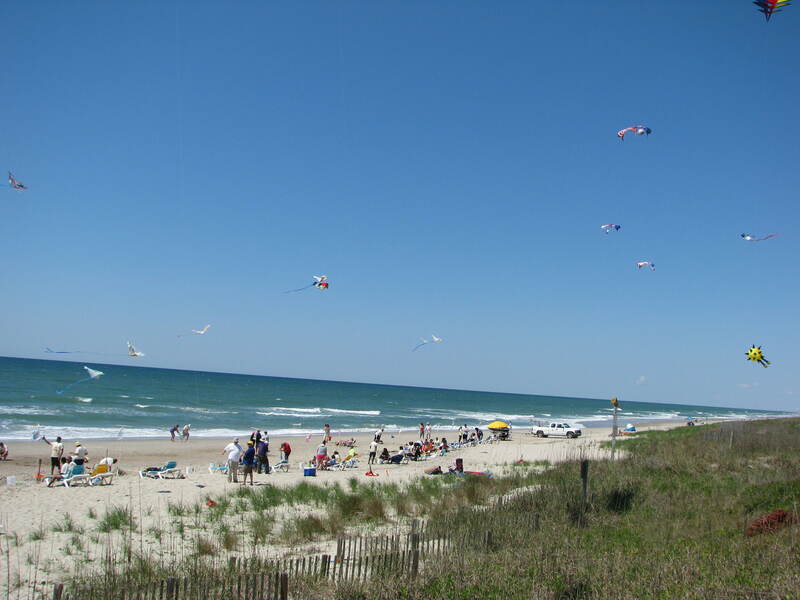 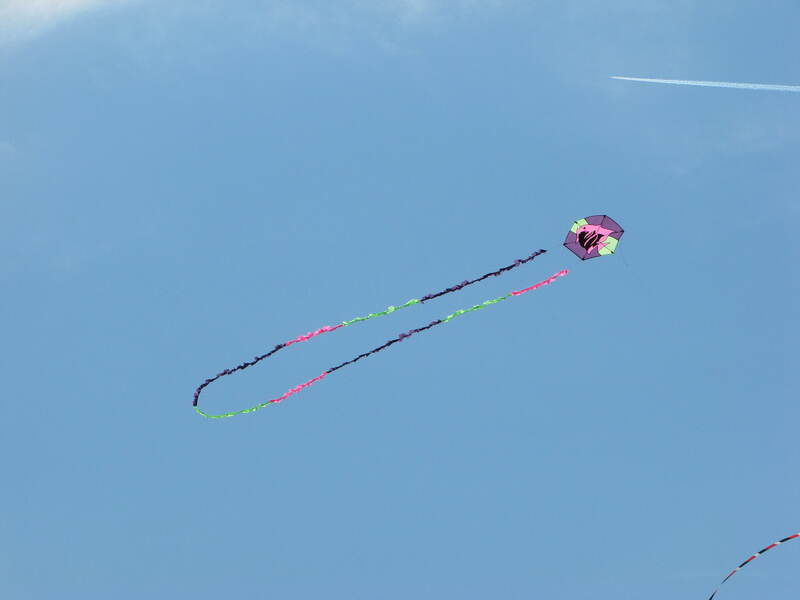 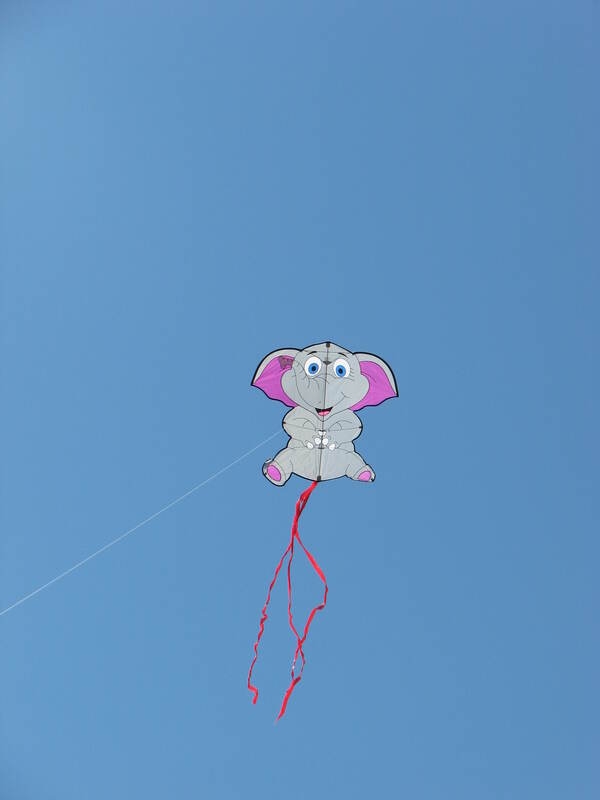 So I am reflecting on the last two weekend kite club flys and what marvelous weather we had. 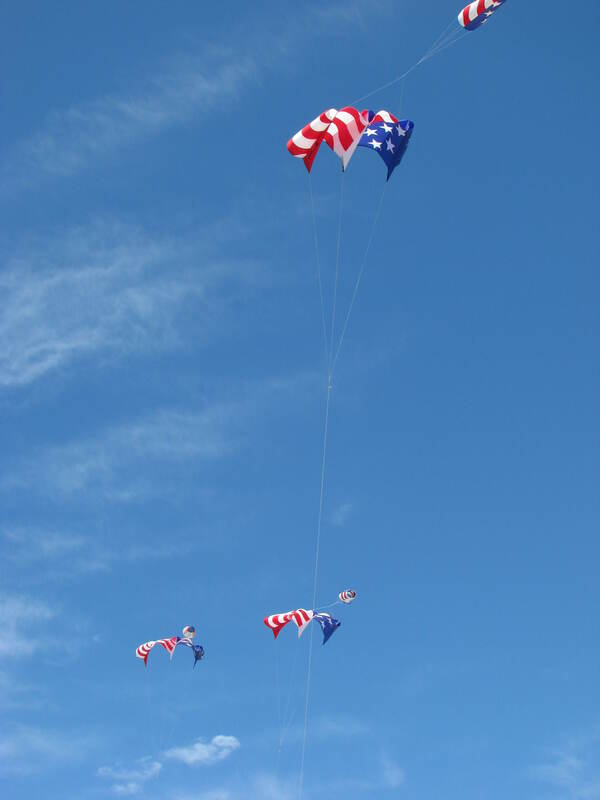 Two weeks ago we pulled some oldies from our bags and gave them some air time. 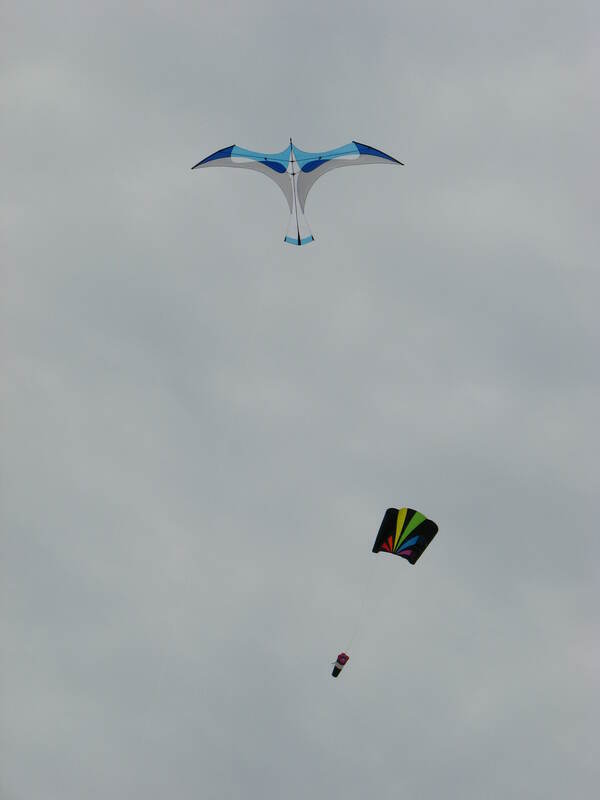 One was a Mesh Delta and the other was the Gecko Totem both by Premier Kites. 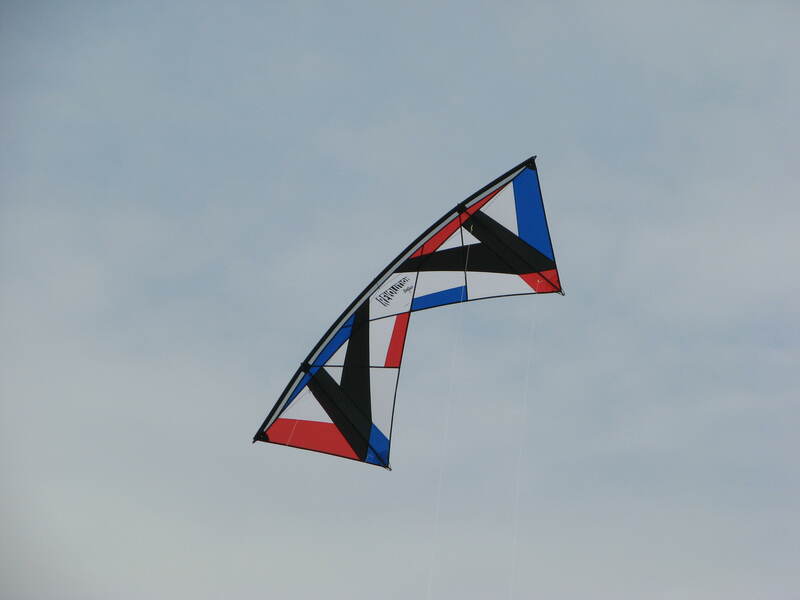 The mesh delta flew like a champ, with transition tails and a hypo twister attached. 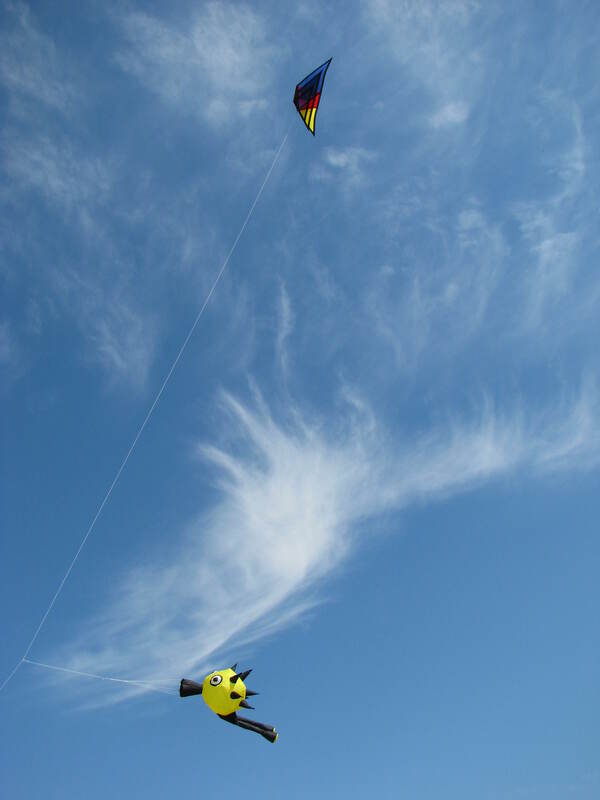 One of our regulate flyers put up his Brasington Waif train and a hexagon fish kite he made in a workshop. 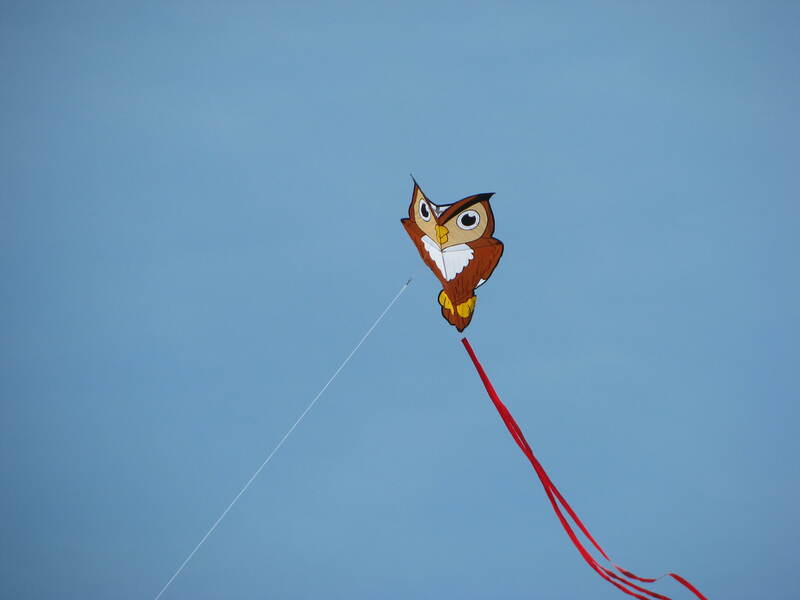 It seems to be the day for creatures as the Owl and the Butterfly also flew. 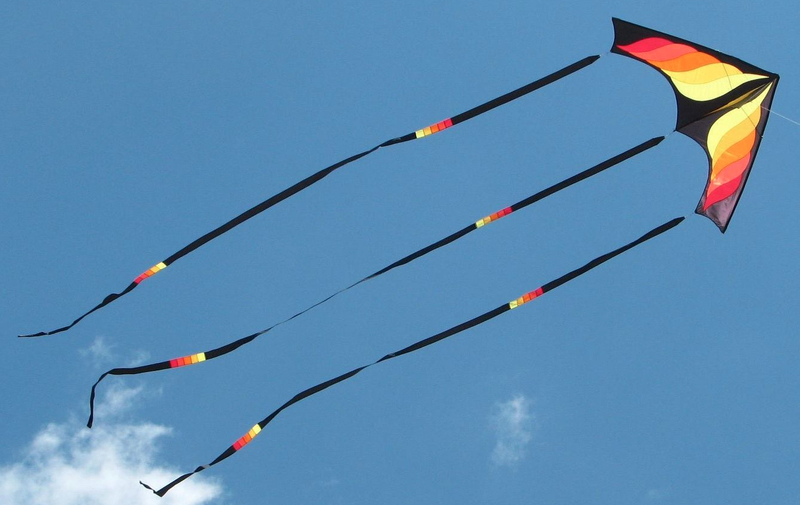 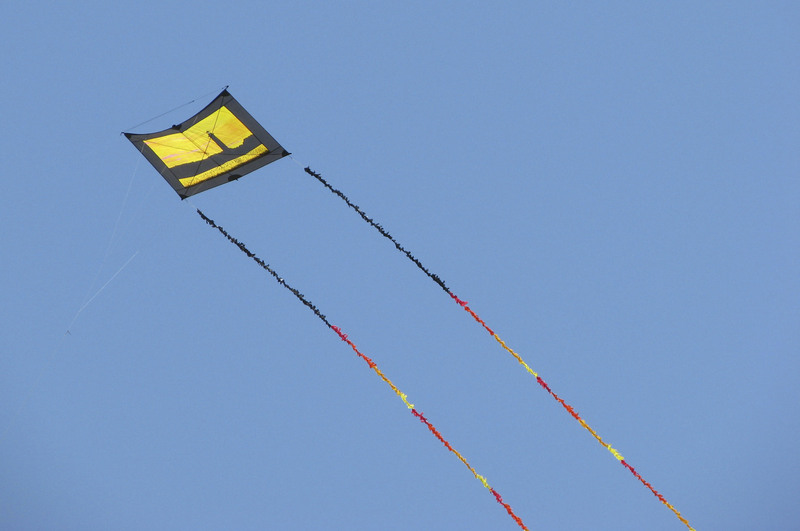 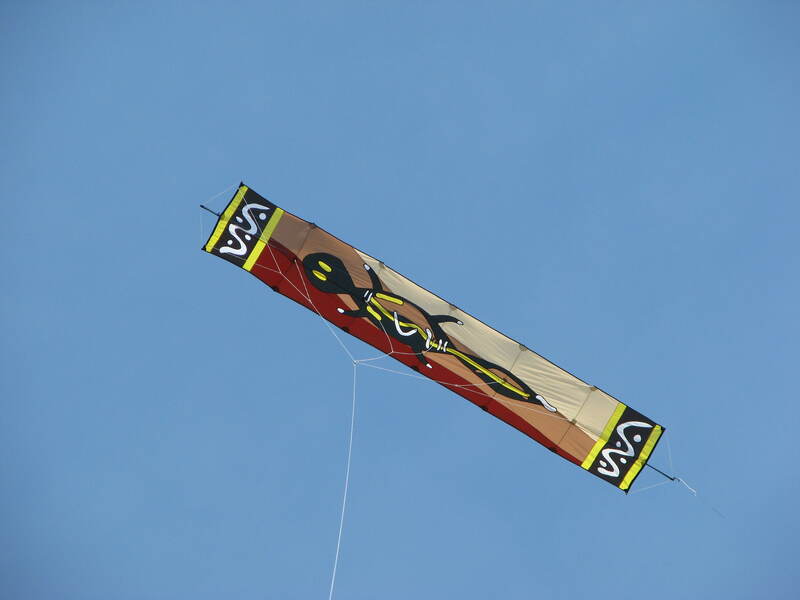 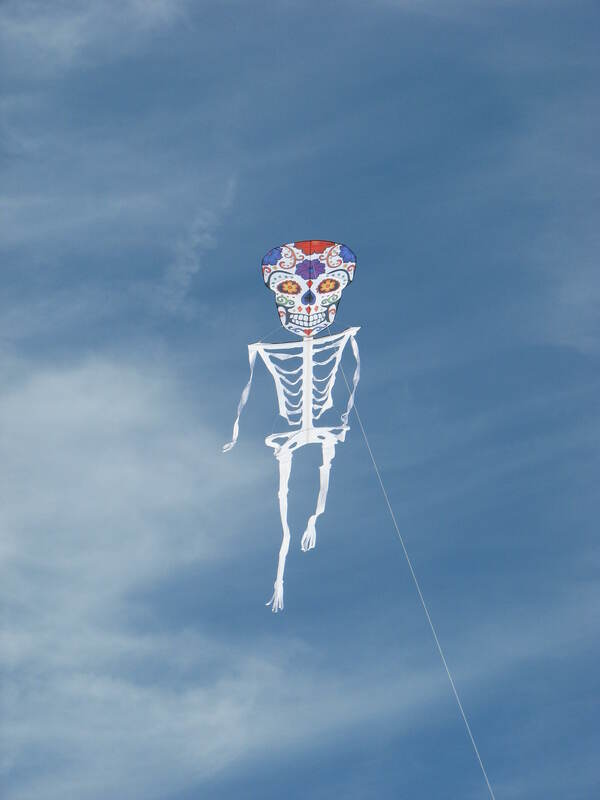 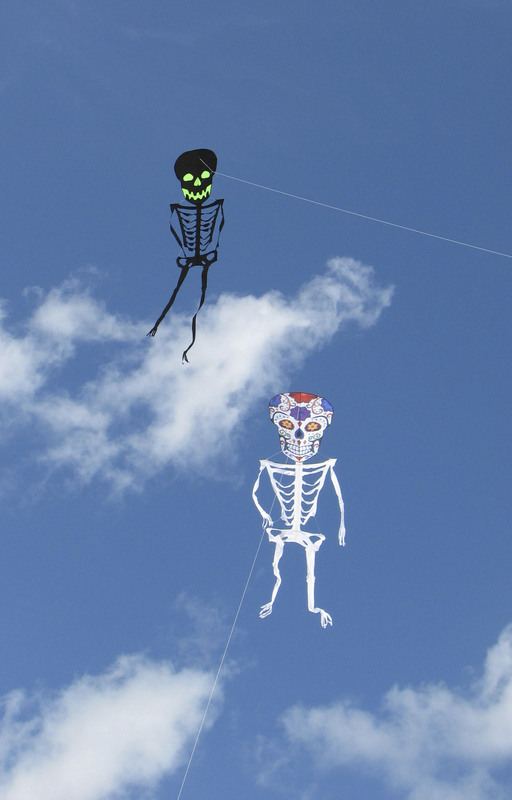 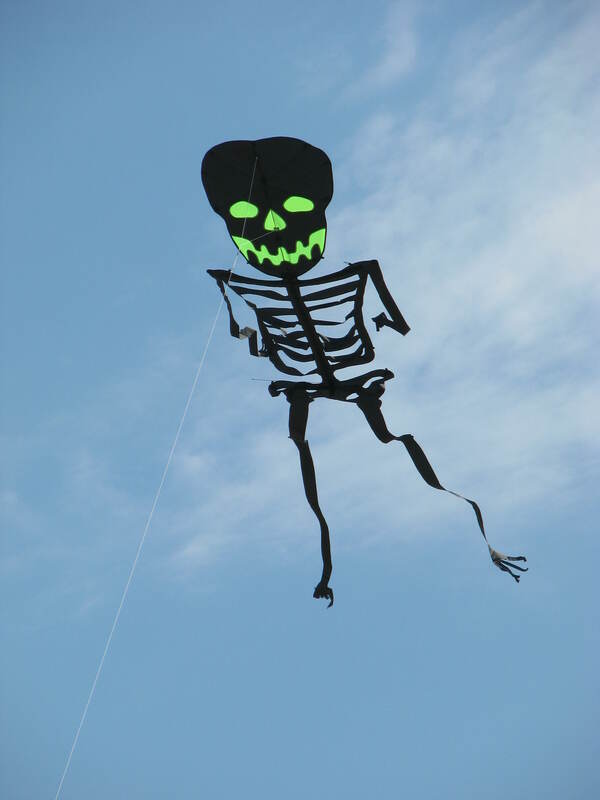 Then they were joined by a new offering from Premier Kites, the Skeleton. 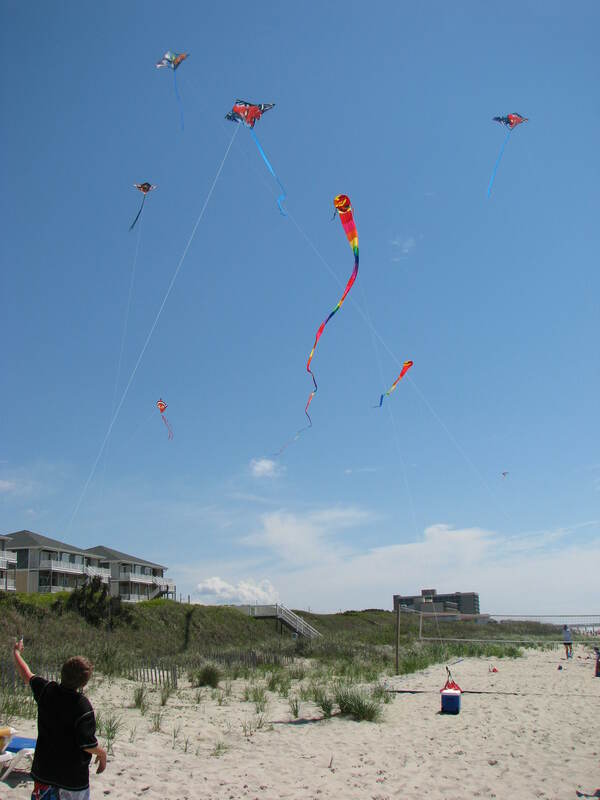 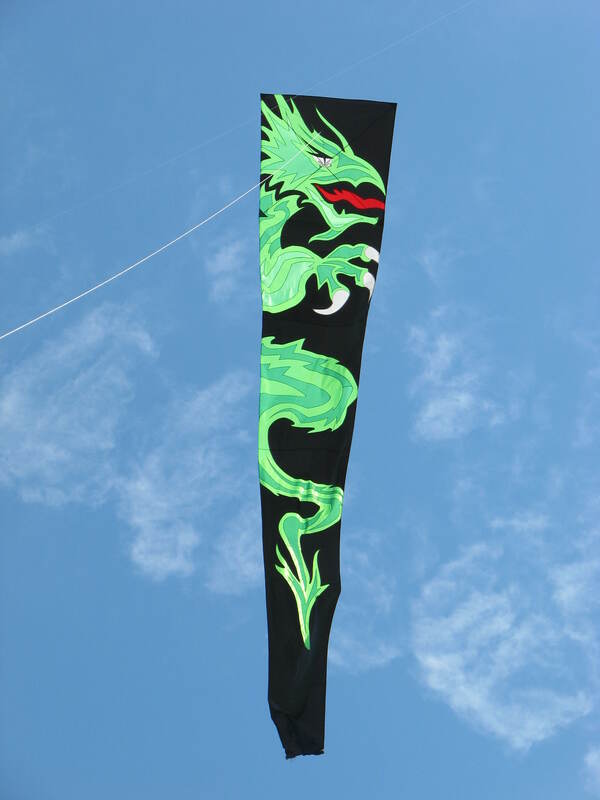 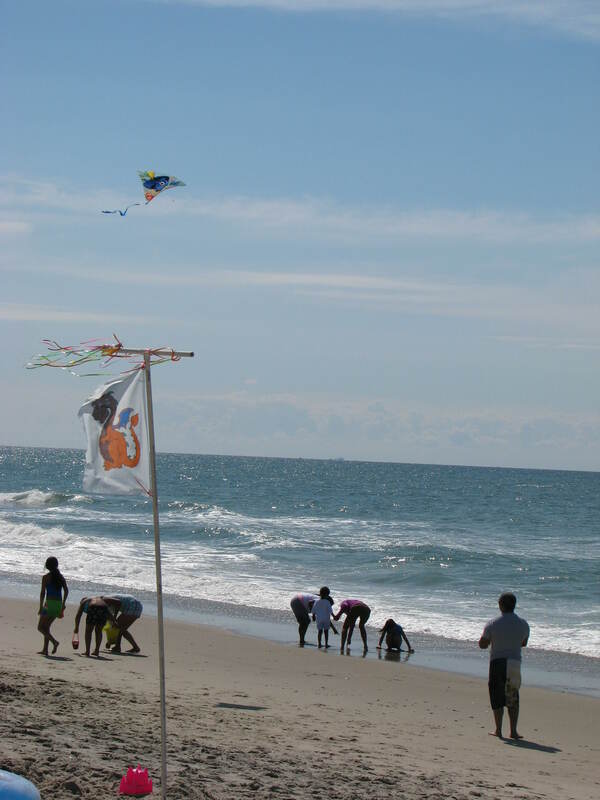 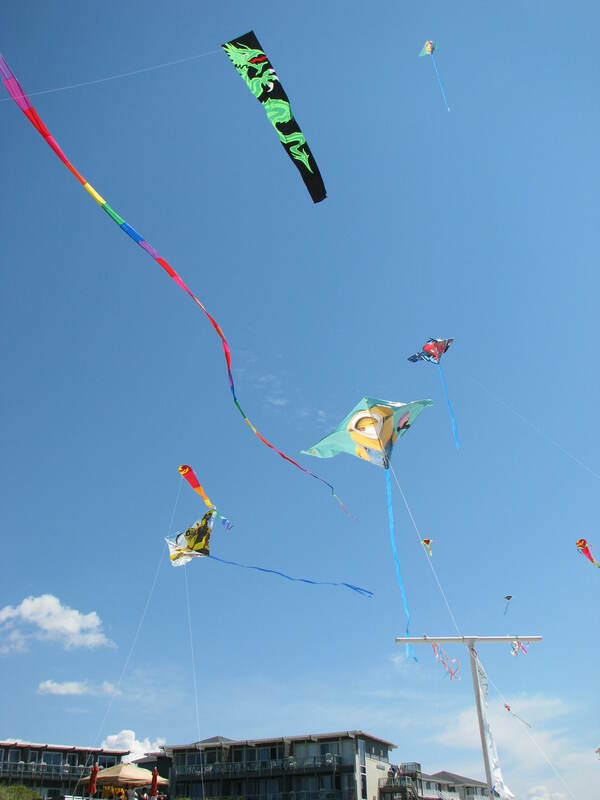 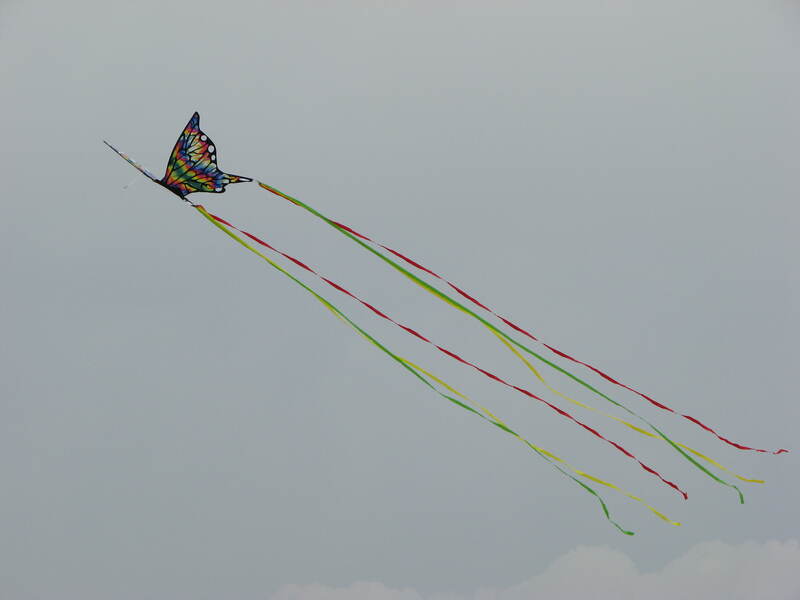 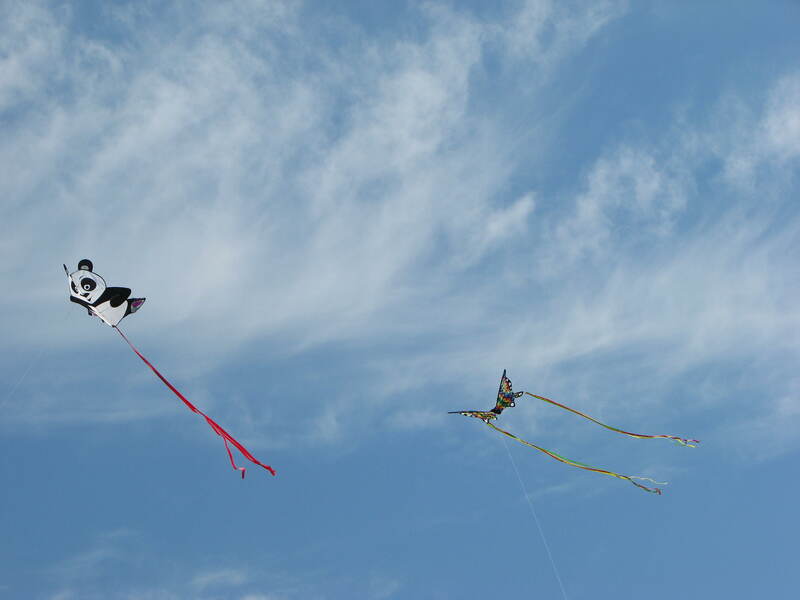 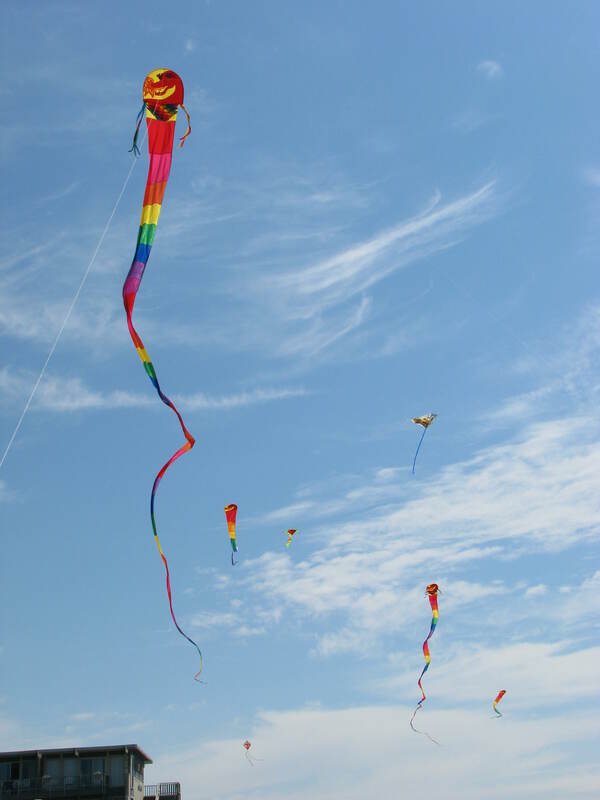 The line up for the day was completed by the Martin Lester Legs kite and the Firefly made by Jeri Dixon at the Kites Unlimited shop. 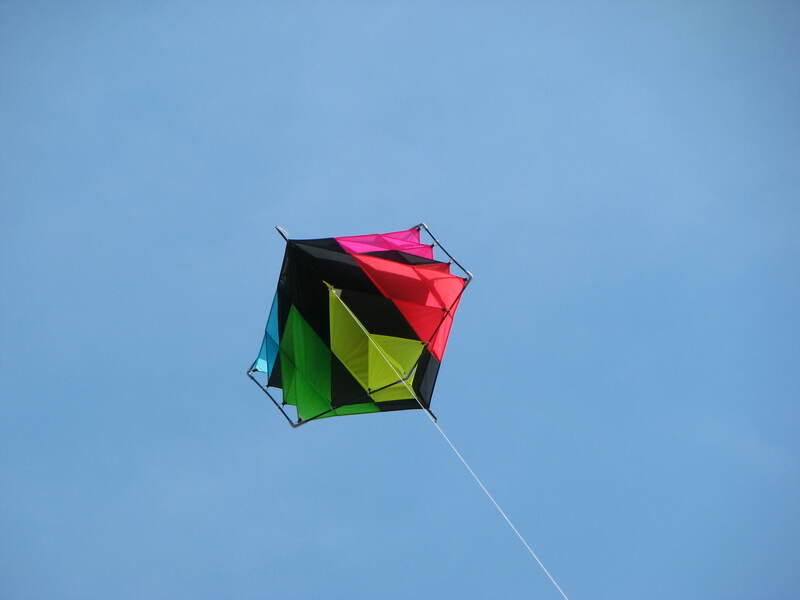 The following week proved to be just as good a day weather-wise but not quite as good wind wise. 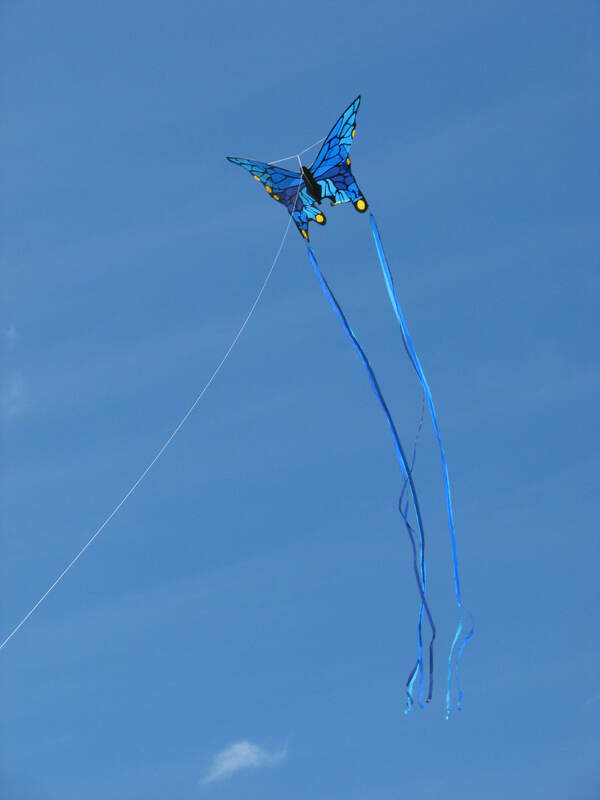 Things started out great with a friend from out-of-town putting up a couple of gorgeous kites, one of which he made himself. 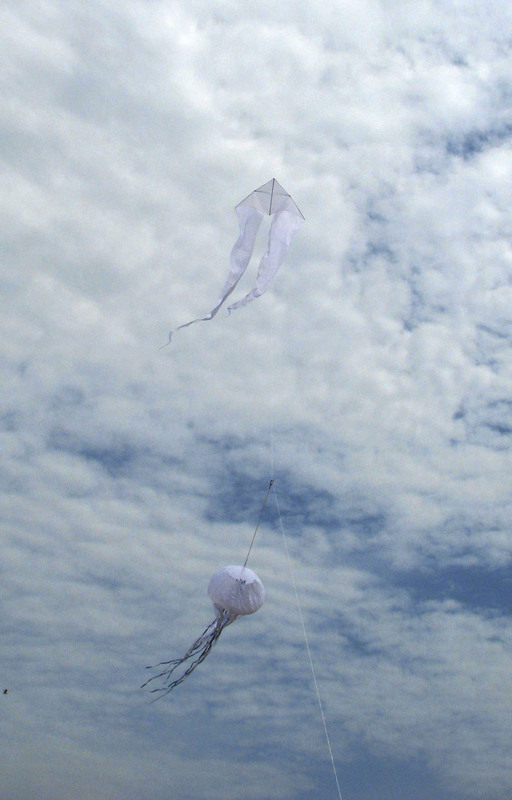 The first was Jon Burkhardt’s South China Sea and the second was the Lighthouse. 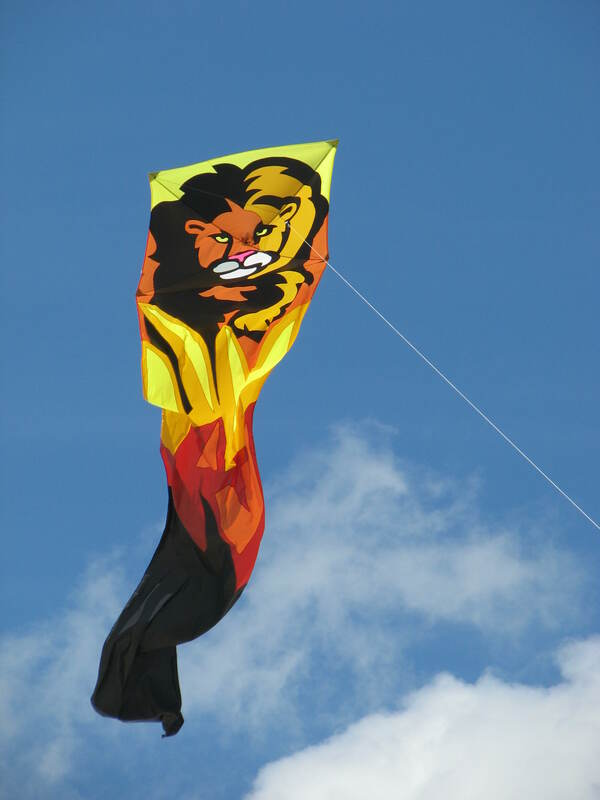 The background for the Lighthouse kite was hand-dyed to appear as the layered oranges of a sunset (unfortunately the photo makes it look yellow). 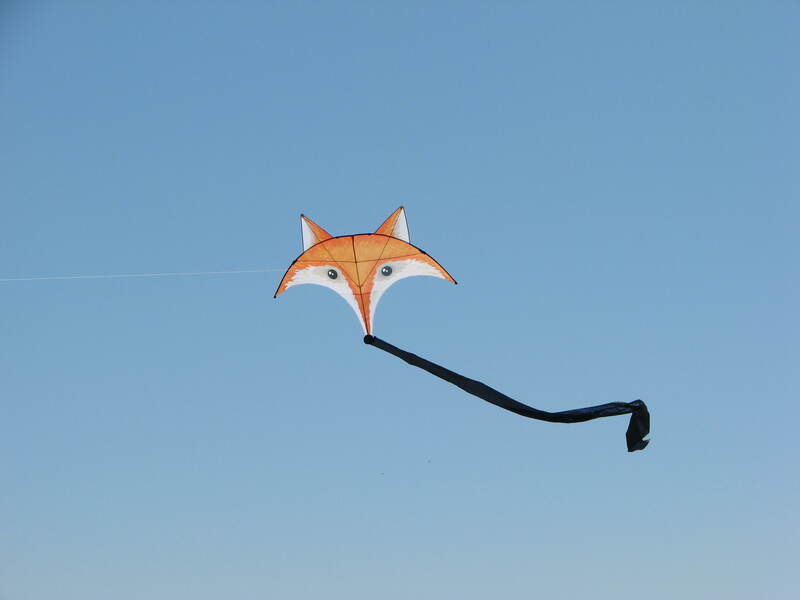 Joining them was a cute Elephant and a newcomer, the Fox. 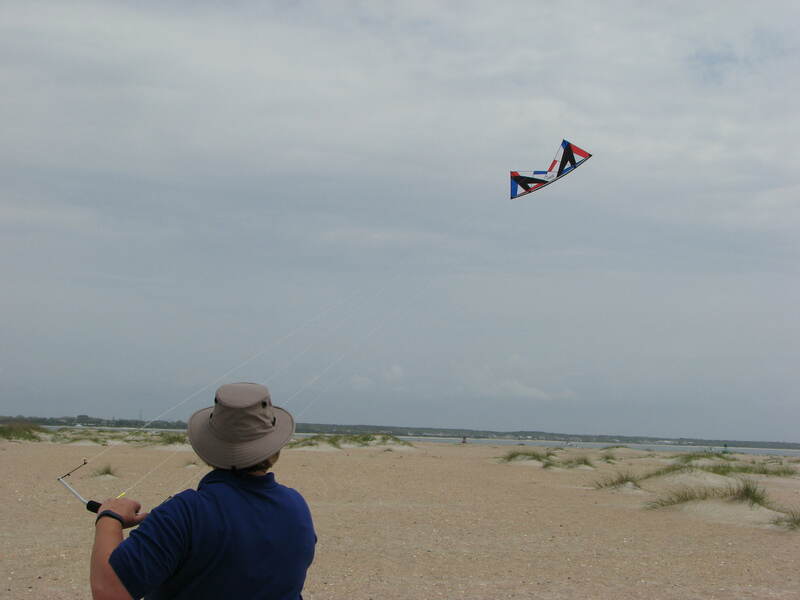 A couple of us were out flying some dual line kites and one flyer attempted to put up an old large Stratoscope. 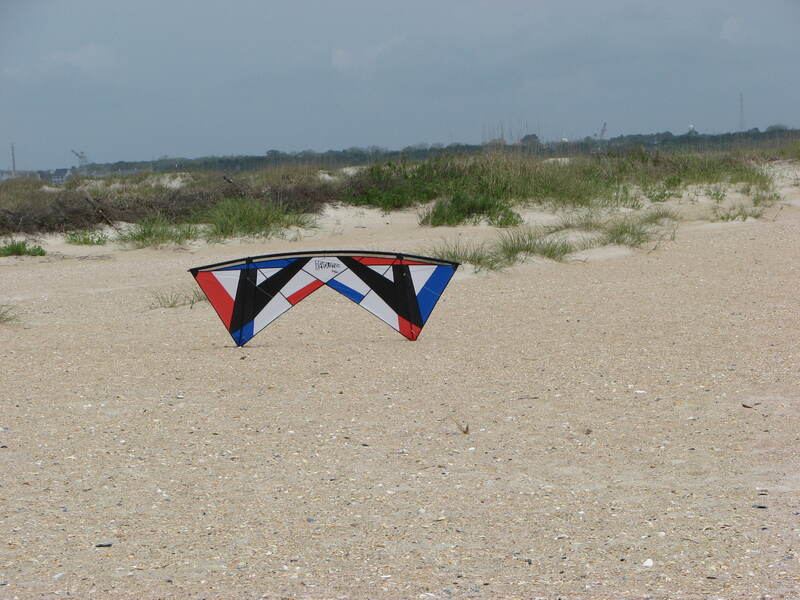 At the time it even seemed like a good idea to get out the Tri-Tail Delta. 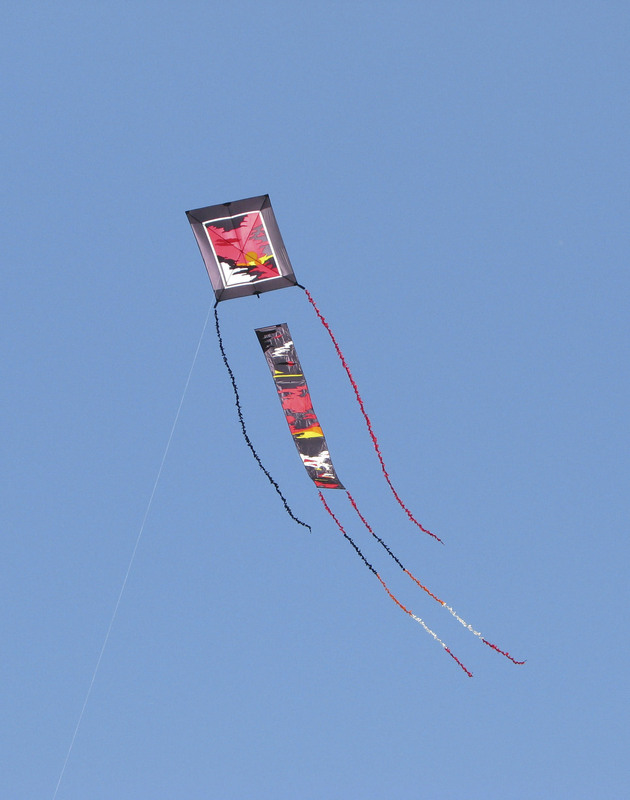 But before I could get the camera out, the wind completely died away. 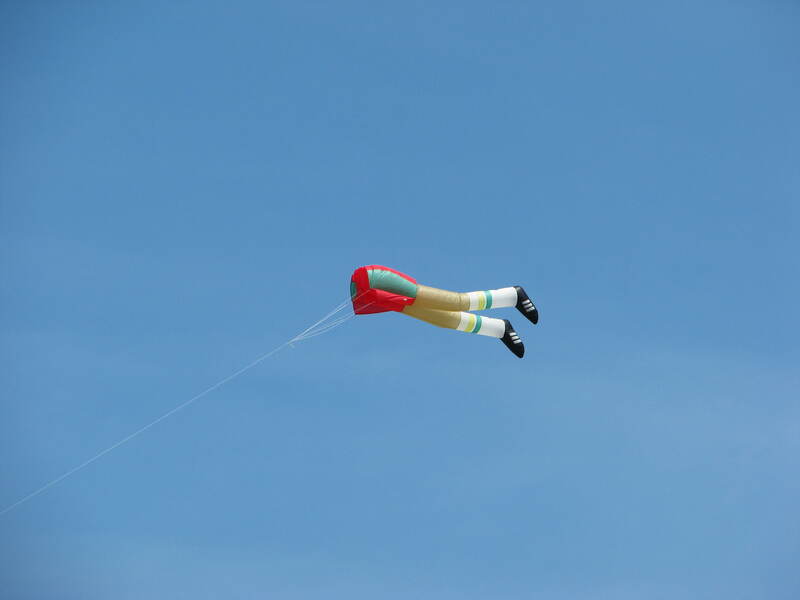 Everything fell to the ground. 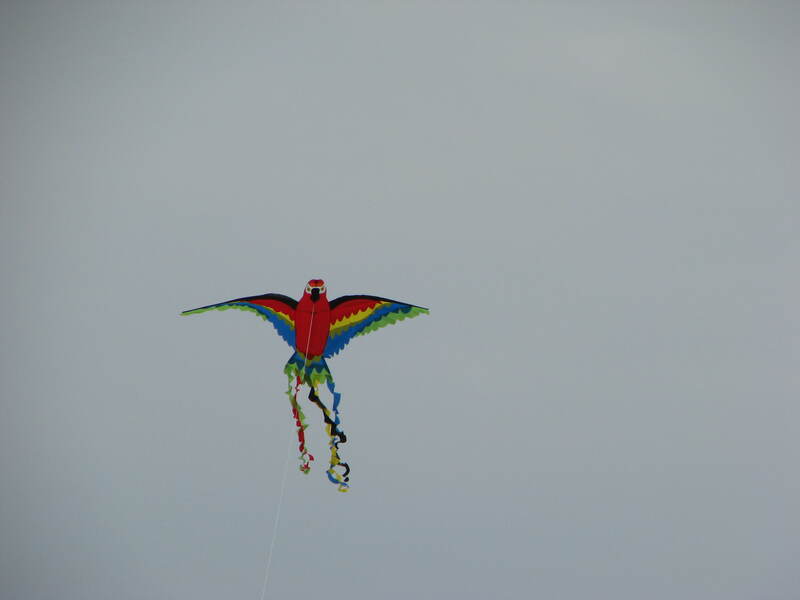 Not just once but repeatedly as we kept trying to get them back in the air.